A one-design class first sailed at Eastern YC, Marblehead, MA and then adopted by other nearby clubs. Sam Crocker worked for the John Alden firm at this time. 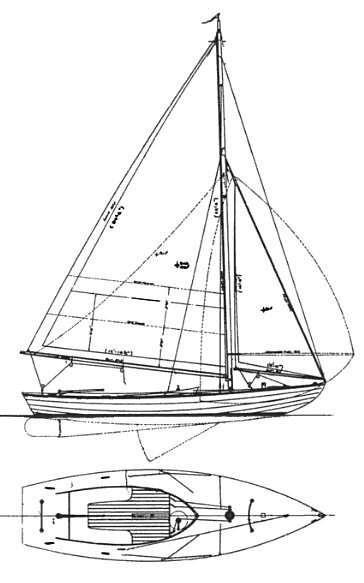 (There was an earlier one design class called the INDIAN, (1913), from the design firm of William Gardner, and built by Thorpe Brothers of Nyack, NY., for members of Shattemuc Y.C., Ossening, NY.